If you’ve ever copped a GoPro to the head underwater, you’ll appreciate that there’s a certain amount of etiquette required when diving! Here are a few tips to ensure you’re not that person the rest of the group complains about when back on dry land. Learn the lingo. This is a tip for the newbies. You might have been wearing goggles when you came first in the 100m freestyle at the school swimming carnival, but when you dive it’s a mask. Likewise, Flipper is a fictitious dolphin and what you wear on your feet are referred to as fins. Don’t diss the dive. Here’s one for the more experienced divers. While it’s fantastic that you met Ariel and her six sisters on your last dive, there’s no need to tell everyone that the marine life you just encountered pales in comparison. 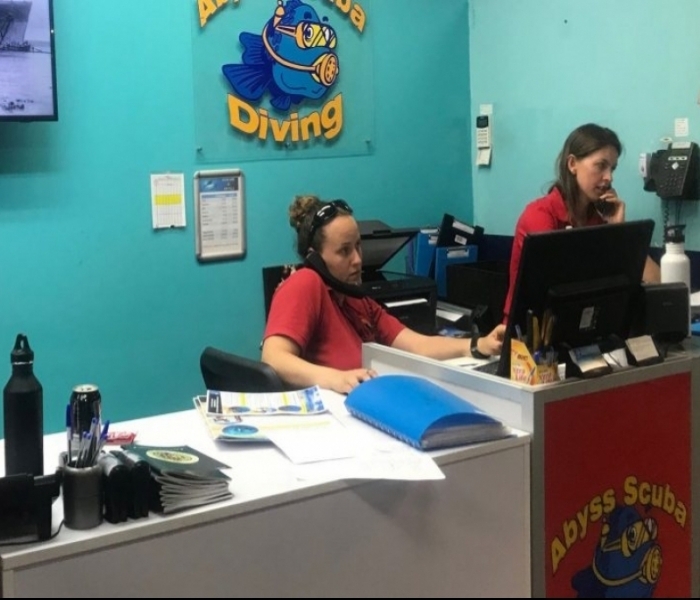 It’s not only incredibly rude to the dive company you’re with, but it leaves a sour taste in the mouths of your companions who could be quite satisfied with what they saw. You might have a captive audience on a boat, but not everyone wants a ticket to your show. Be prepared. If you know it takes you a little longer than most to get the wetsuit over your knees (don’t worry, there’s no shame in it… right? ), kit up early so you don’t keep everyone waiting. Practise buoyancy control. This is important for a couple of reasons. First of all, no one appreciates sand being swept up from furious kicking at the bottom. Secondly, an elbow to the nose from frantic flailing is similarly frowned upon. Consider undertaking your Advanced Open Water Course or even a Peak Performance Buoyancy Course. It’s not a race. 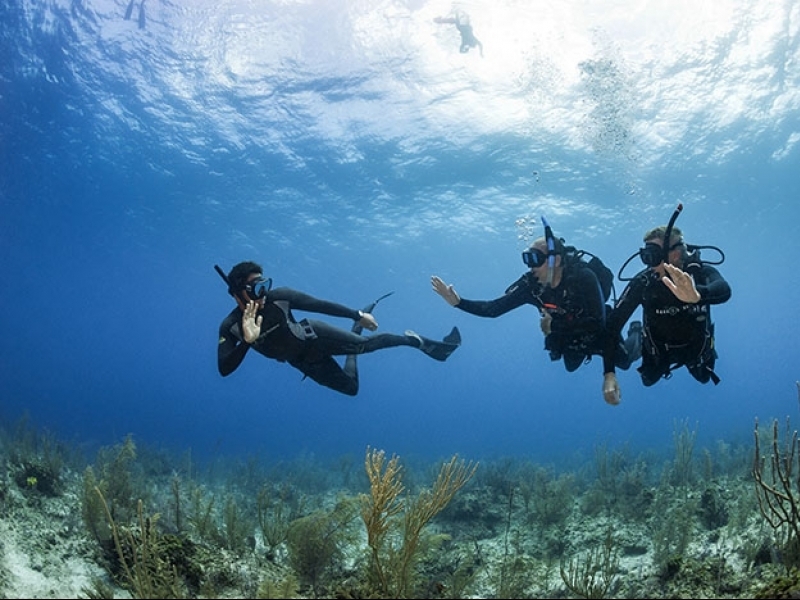 If you’ve been asked by your dive master to stick with the group, put in the effort to do so. A cursory glance at an amazing seadragon before shooting off might mean that the rest of your group doesn’t get to admire it because they have to keep up with you. Likewise, just because you’re happy to spend 10 minutes staring at a rock crevice doesn’t mean everyone else wants to, so don’t lag either. Control that camera. It’s awesome that you got a new stick for your underwater camera. However, shoving said camera in front of someone to get a decent shot of the mating frenzy, while blocking that diver’s view, is rude. As is bopping them in the head because you’re too busy trying to take a selfie to realise that you’re not the only one in the water. Look but don’t touch. Etiquette isn’t just for the benefit of other humans – it’s also for the environment and the animals allowing us to experience their underwater existence. Be respectful. As the saying goes: Take nothing but pictures, leave nothing but bubbles, kill nothing but time. This is by no means an exhaustive list of etiquette tips – just some of the more common (and annoying) complaints! What tips do you have for minding diving manners?